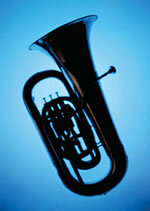 Do you play a brass instrument? Why not join our Grace UMC Brass Ensemble! We are always on the lookout for brass musicians interested in joining our ensemble. If you play a brass instrument, are 7th grade or older, play at an intermediate level, and would enjoy playing with fellow brass musicians, we welcome you to Contact Us. Or just bring your instrument to one of our rehearsal sessions. If you don’t play, but enjoy brass chamber music (and who doesn’t! ), please be sure to come to our next performance. We would also welcome your donations to help us purchase new music as we expand our repertoire of songs. Click on the Donate tab above to do so. Thank you for your support.